A recent client submitted a drawing to our sales team detailing their requirements for a high security bunded steel oil tank fitted with Tuffa’s patented Fire Protection concept, meaning that the tank could be sited adjacent to their building so that a close eye could be keep on the tank at all times. The tank was fitted with a secure lockable cabinet – a ‘security hood’ that contained the tank fill alongside the visual contents reading gauge and bund/overfill alarm. The outlet connection was also contained within a bespoke lockable compartment to ensure that no authorised access could be made to the outlet connection. RAL1019 Grey-Beige paint was used to finish the tank so as to blend in to the scenery at the client’s site. The end result being a 2700SBFP/30. 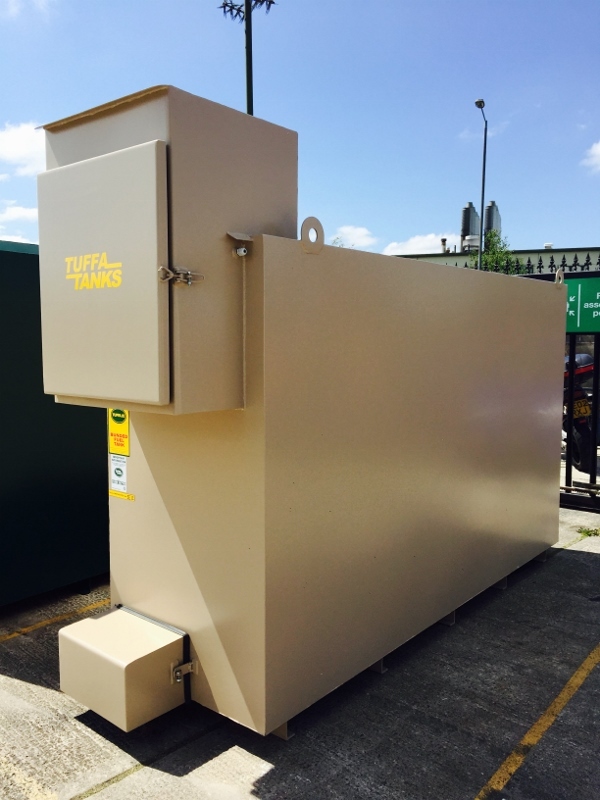 Why not view some of our standard steel fire protected oil tanks.